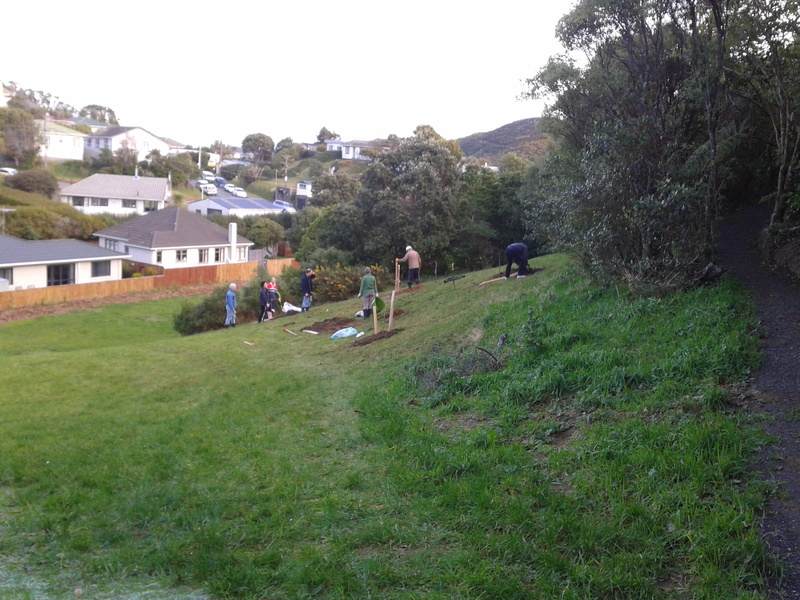 On Sunday 17th June we helped plant fruit trees at Lyndfield Lane Park. 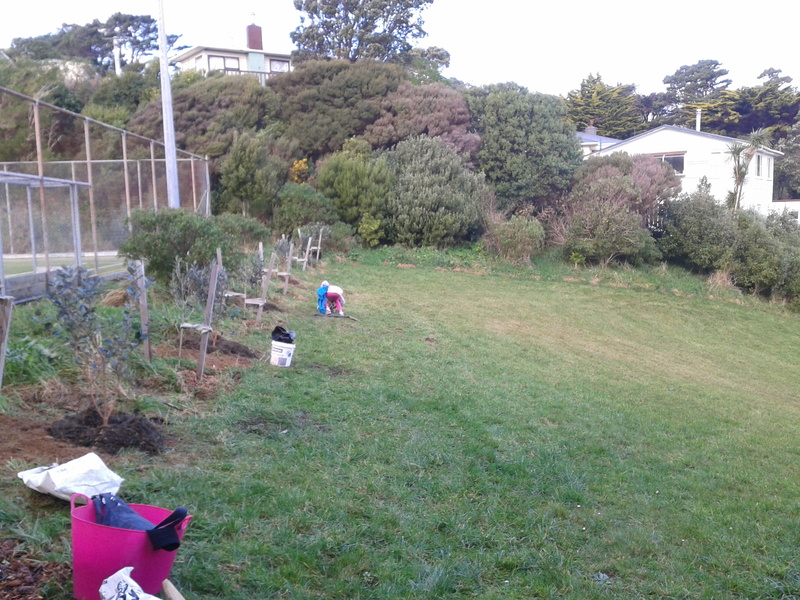 Six large feijoa were planted in between the olive tress that were planted last year. Five walnut trees were planted on the bank and we mulched around all the trees. It was great to get the fruits trees planted and we plan to plant some fruits trees at Jay St Community Garden in July. If you would like to be involved with the fruit tree planting then send us an email, leave us a comment or a message on our Facebook page! This entry was posted in Lyndfield Lane Park Orchard. Bookmark the permalink.